As some of you might have seen on Instagram, my living room got an update ever since I first shared it on the blog. It was the first room I ever showed here of my current apartment, as it felt as the most finished space around the house at the time. However, my interior (and yours too, I’m sure) is always a work in progress. The majority of the pieces in this room had been with me ever since I was living in my studio apartment and thus I couldn’t resist making a few changes! I moved a few plants around the house, hung a print from Studio Proba and a photo made by my late grandfather and added a few small accessories, but the biggest change is my brand new couch by Sofacompany! I chose my previous sofa because of its storage compartments, which were a lifesaver when living on merely 35 square meters. 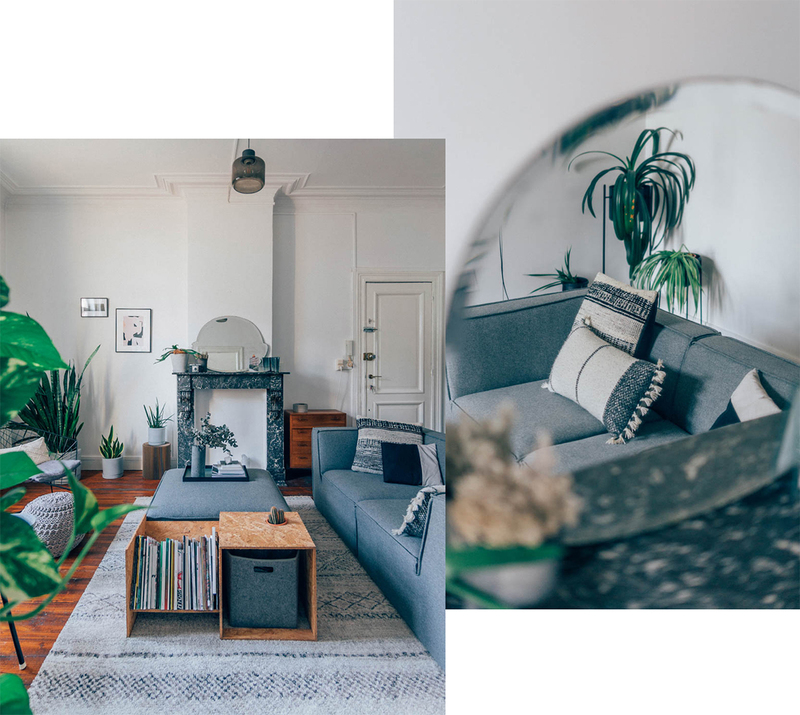 However, placed in my current 90 square meter apartment, the proportions suddenly felt a little off and I started dreaming of something that fitted my current living situation better…. and that’s were Sofacompany decided to lend a helping hand! When I moved across the hall almost a year ago, I quickly decided that the brightest room of all had to become my home office. Nothing as depressing as slaving away behind your computer in a dark room, no? While I already owned enough furniture to decorate the rest of the apartment, I never had a home office before and thus had to start with a blank slate. 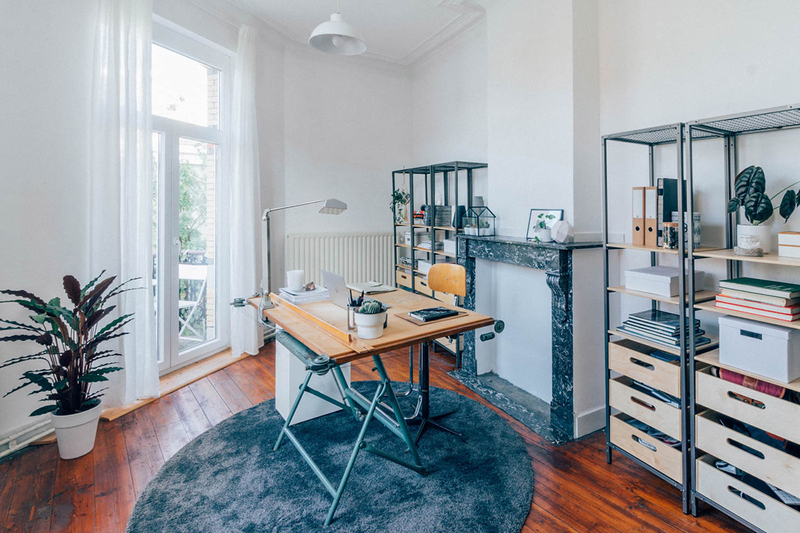 I knew straightaway my grandfather’s drawing table (which you’ve seen before here) would make its comeback as my desk, and when I discovered the Veberöd shelving units at IKEA, I decided to team up with them to create the home office of my dreams. It’s about time after ten months, but the interior of my not-so-new-anymore apartment appears to be finally coming together this summer. You might have caught a few glimpses of a new dreamy carpet and a fabulous sideboard on my Instagram already, but I still wanted to show you these photos I snapped in my dining room right before a family brunch a few months ago. As you can see, the furniture I took from my tiny apartment doesn’t really live up in this rather spacious new home of mine, but I’m working on it! After all, creating a home takes time (and some saving up) and as this blog is as much about beautiful interiors as the way they grow and evolve (just dive into my INSIGHTS archives in case you don’t know what I’m talking about), I wanted to share images of this in between stage as well. 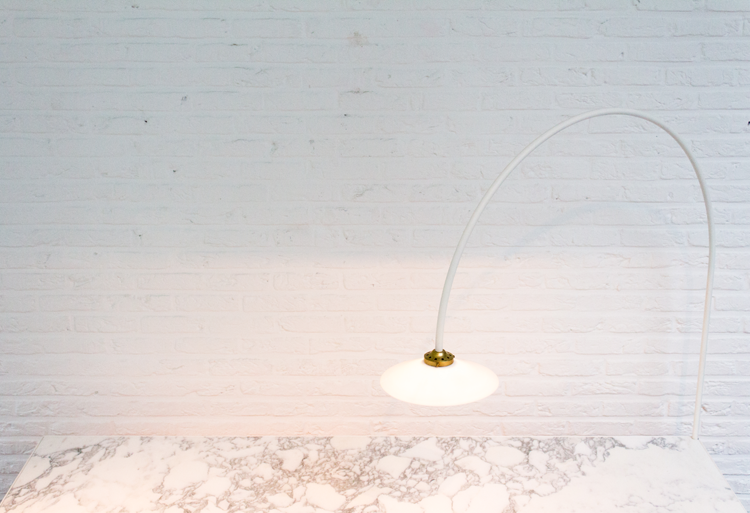 Keep an eye on the blog for more updates on my home soon! It took me a couple of years, but during my last visit to Lisbon, I finally made it to the neighboring city of Sintra. This infamous town is mostly known for its numerous royal palaces and castles (more about that later), but today I’d like to put its countless shades of pink in the spotlight. 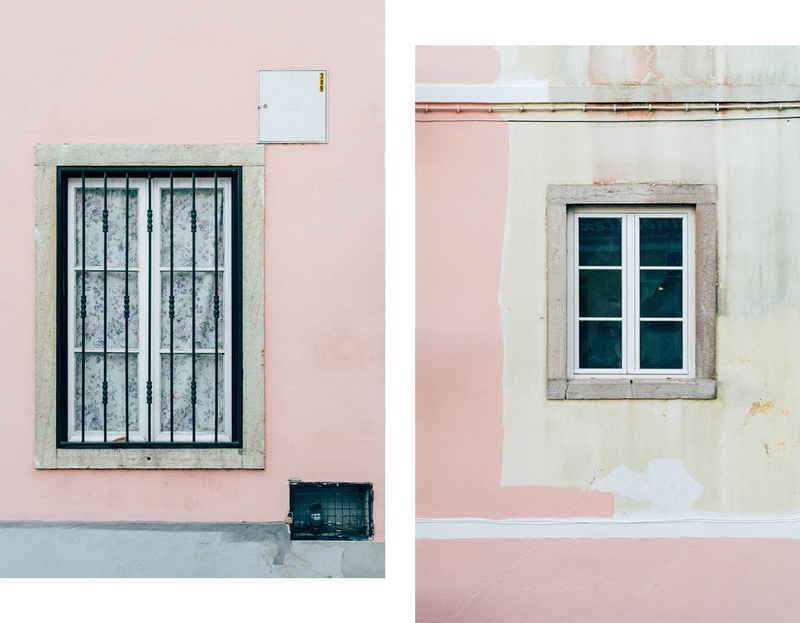 While Las Palmas already surprised me with its infinite supply of pastel facades and Lisbon’s amount of soft colored houses is pretty impressive as well, Sintra turned out to be devoted to one pastel hue in particular. I’ll let the pictures do the talking, but can you spot the lurking grandmother behind the window? A few weeks ago, I showed you some of Lisbon’s brutalist architecture, but today I want to share a few snaps that capture why I fell in love with the Portugese capital all over again during my last visit. Light blue, soft yellow, blush pink and that wonderful, wonderful light… my favorite city has it all. 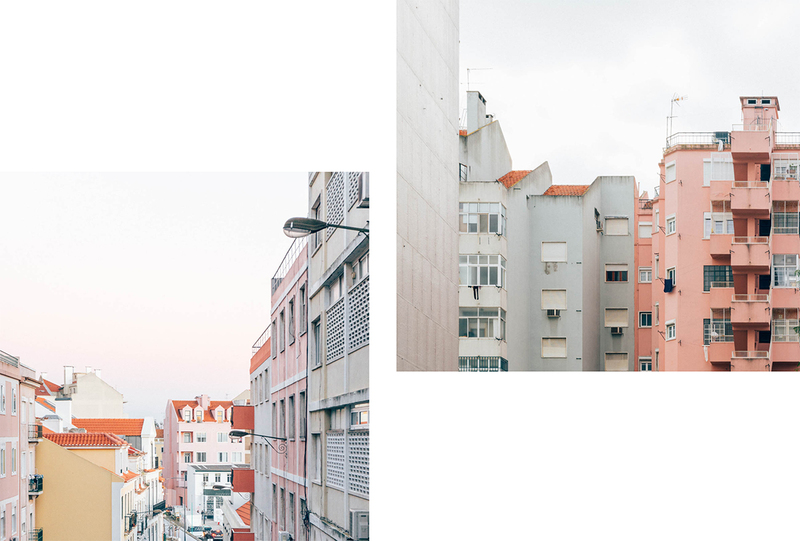 If this wonderful weather that we’ve been having lately hasn’t catapulted you into a holiday state of mind, this pastel colored glimpse of Lisbon might just do the trick. Oh, don’t forget: if you’re planning a trip to Lisbon – I’ve collected all the good stuff here. In the meantime I’m off enjoying the sun again in our little Belgium. Até já! 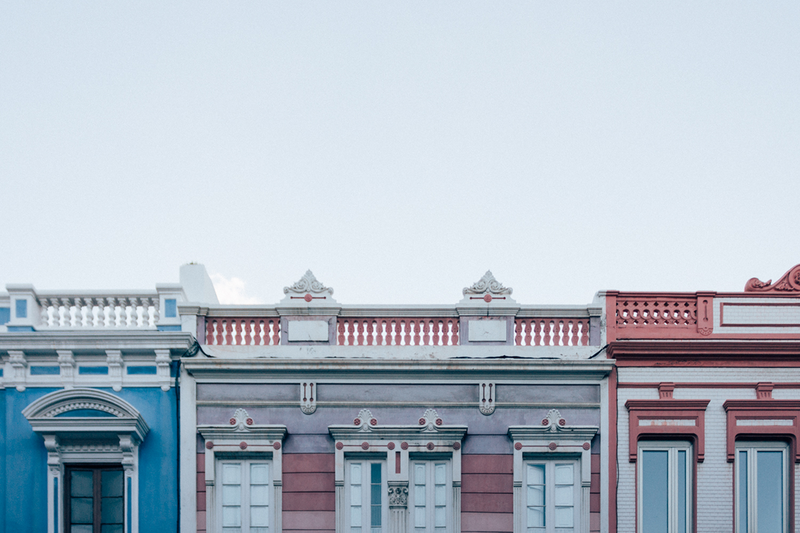 The city of Lisbon might be known for its colorful facades and picturesque street views, that’s not all it has to offer when it comes to architecture. 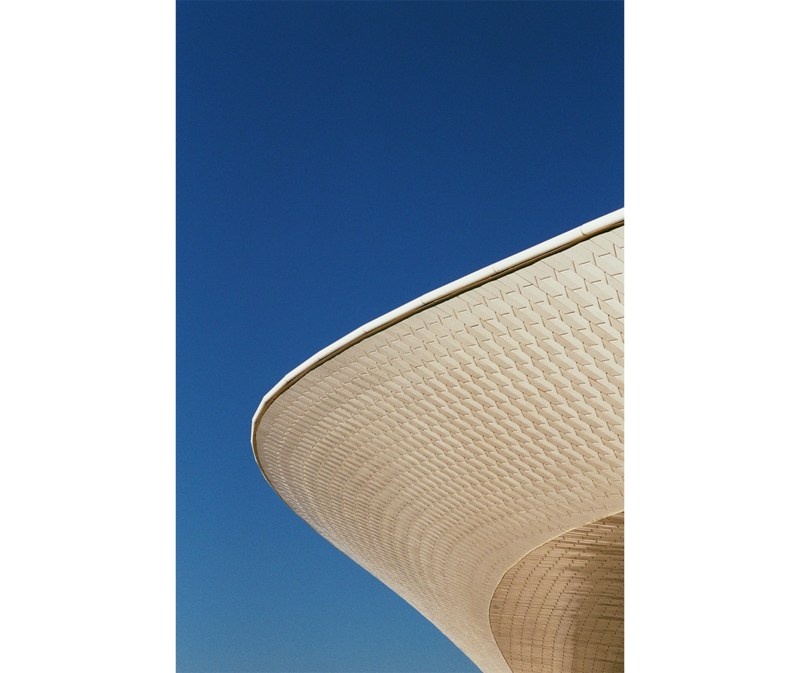 Because I can never resist brutalist architecture with its geometric shapes and intriguing use of materials, I did a little research on brutalism in Lisbon before my last trip to my favorite city. 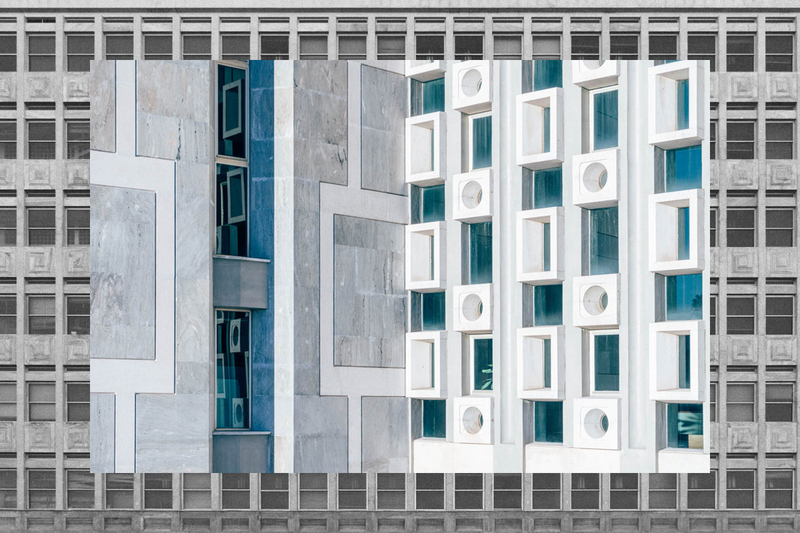 A google search led me to the Palácio da Justiça, the courthouse of Lisbon which was designed by Januário Godinho & João Andresen in the sixties. 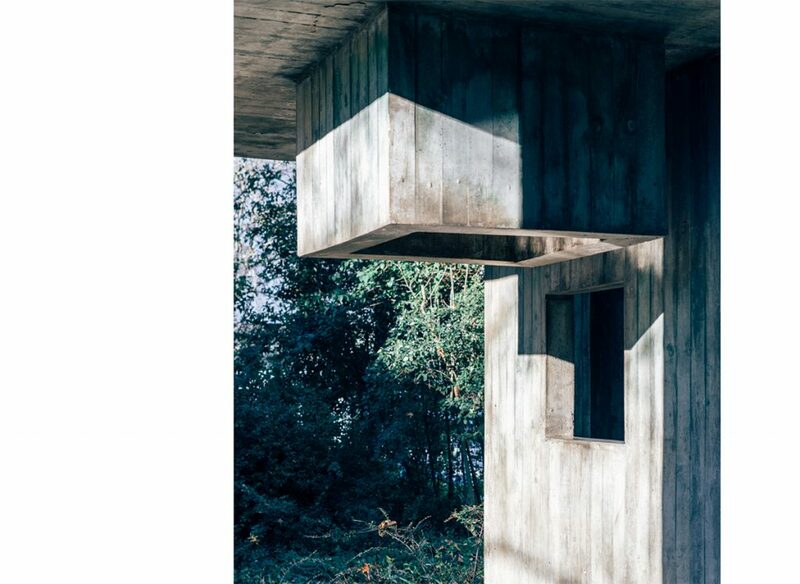 This mastodont of a building ticks all the brutalist boxes, so if you’re a lover of all things architectural, it is definitely worth a detour from your average tour of the Portugese capital. In that case, don’t forget to checkout my Lisbon city guide for more must visits! After living here for 6 months, it’s about time I shared a little peek into my new apartment. First up? The living room. While most rooms still need some work, this is the one room that feels the most finished. A good thing, since it doubles as my entryway (yay for good first impressions) and it’s the one room where I spend the most time, whether it’s in company of my friends or relaxing with a good book or some Netflix on my own. Sharing fragments of Belém‘s famous Padrão dos Descobrimentos today! 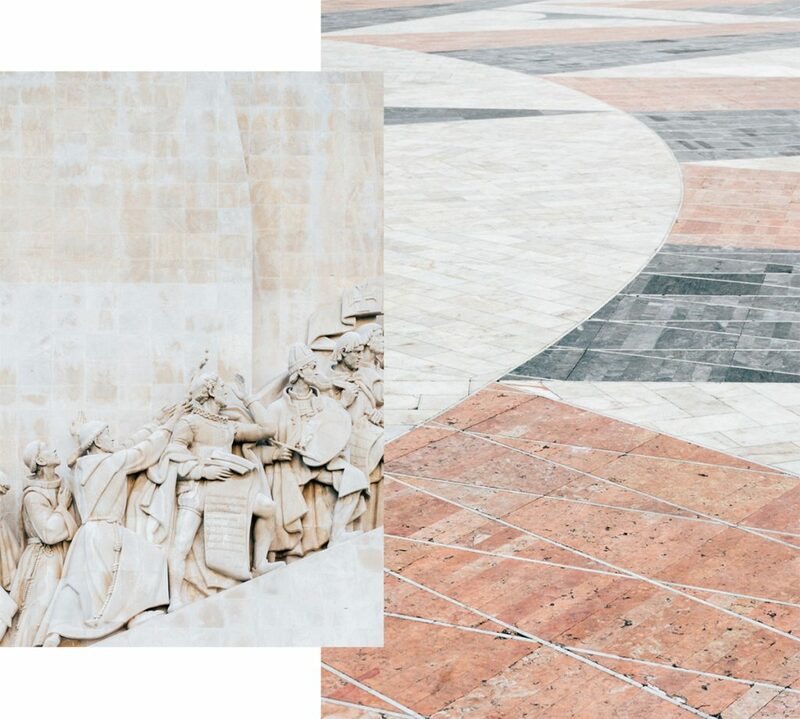 It’s all in the details, if you ask me… For more things to do in and around Lisbon, have a look at my city guide or keep an eye on the blog, because I still have a lot to share! In my previous blogpost I raved about the cave dwelling we stayed at in Gran Canaria, so today I wanted to share more photos of that experience. In this post I’m taking you on a tour of Acusa Seca, a small village of cave dwellings dating back to the 6th century with a breathtaking view over Roque Nublo (the appropriately named cloud rock). During our hike through the surrounding valley we encountered even more breathtaking views, hence the picture overload. 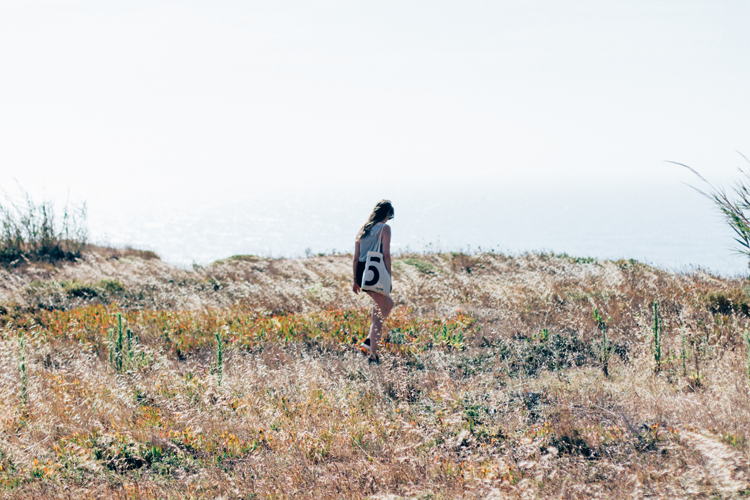 Have a look at the photos below and wander through Acusa Seca with me! Before we started our 50 km roadtrip, Eline and I first had to drive our car from the airport of Barcelona to our hotel in Girona. To make sure we had the best possible experience during our first drive with the prius plug-in hybrid, the toyota team programmed a scenic route into the GPS. We drove along some of Barcelona’s most impressive views, but there was one in particular where we could not resist to make a quick stop. When we spotted the lushious vegetation and interesting architecture of the Jardins Fontserè i Mestre, we just had to pull over! Unfortunately the greenhouses were closed, so we didn’t get the full experience, but I did manage to snap a few photos that convey the atmosphere quite well. Definitely a place that should be listed in my city guide for Barcelona! Normally I would try to recap my holidays in a more or less chronological way, but once I started editing photos of our last evening in Las Palmas, I couldn’t wait to share these dreamy pastel fragments of Gran Canaria’s capital. As you might have guessed from all the spamming I did on Instagram (you can find all images from our trip here), visiting my sister on her Erasmus destination was pretty spectacular. 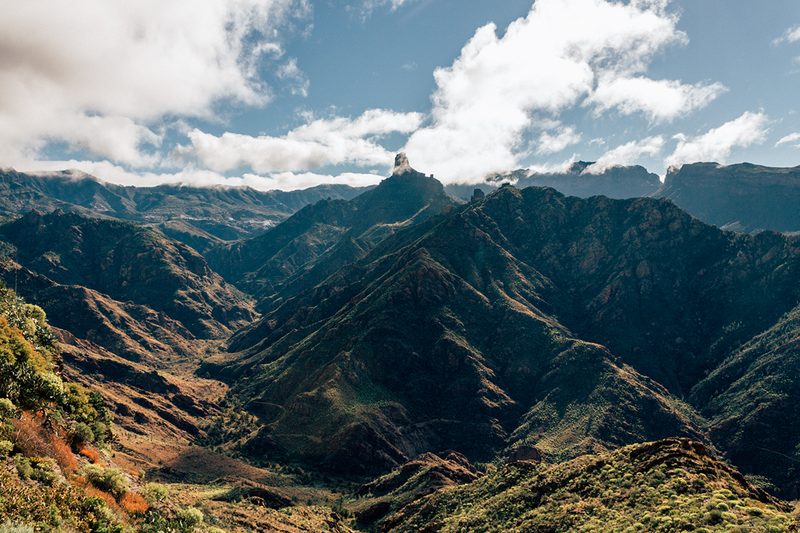 The island of Gran Canaria truly has it all, from black beaches and deserts to lush vegetation and breathtaking mountains (more on that later! ), while Las Palmas is one dreamy sequence of exotic palm trees and sublime pastel hues. Quite the opposite from the all-in resorts that I imagined beforehand, but hey, I’ll let the pictures do the talking. It came as quite a surprise when Toyota asked me if I wanted to try out their Prius Plug-in Hybrid. I’m not a car expert, in fact, I just passed my driver’s license test and still had to pick up my driver’s license. However, I do care about sustainability and love traveling, so this trip seemed like the perfect opportunity to try out that brand new driver’s license. 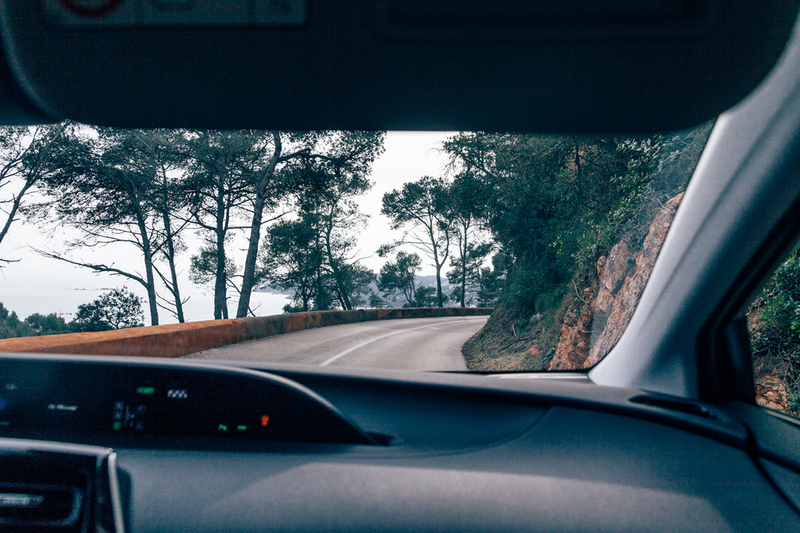 Toyota challenged me and my friend Eline to go on a 50 km road trip, discovering interesting spots in a 50 km radius around the Mas de Torrent hotel where we were staying. Why 50 km? This is the Prius Plug-in Hybrid’s driving range using only its battery. Yay for no emissions! I was very curious to discover the Catalonian provence of Girona, as I’ve traveled to Spain multiple times but only ever visited Barcelona. As it turns out, Girona holds beautiful beaches, incredible views, picturesque medieval villages, interesting architecture and, last but not least, excellent coffee. During my last visit to Lisbon, I made a quick stop at the CCB in Lisbon’s parish Belém. I visited this cultural center once before, during my Erasmus in 2012, and absolutely loved it, so I couldn’t resist paying it a second visit after I discovered the MAAT. Unfortunately I didn’t have time to go inside and check out the current exhibition (I had a plain to catch), but I did take a closer look at the architecture and was pleasantly surprised. 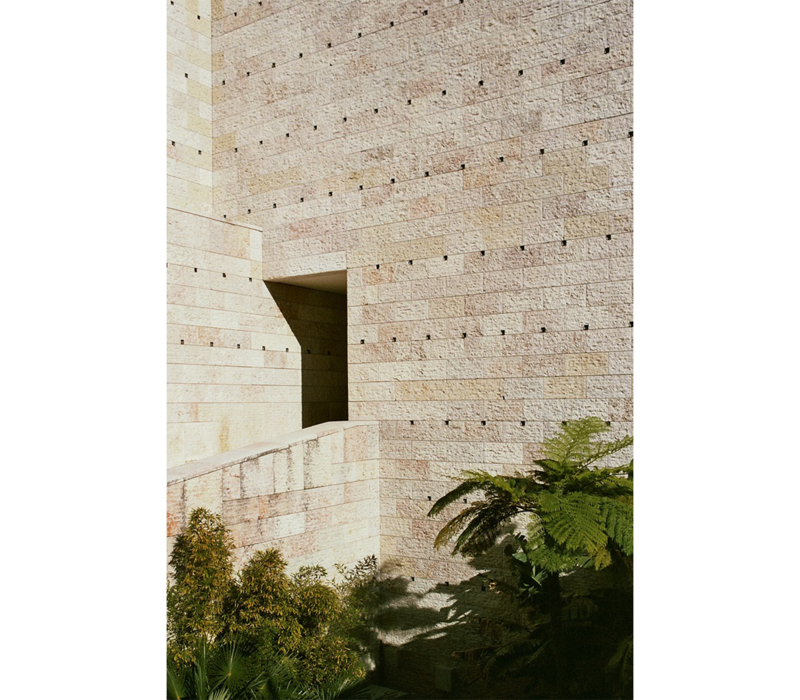 Due to the winter light, the building seemed to be dressed in soft pink tones, which worked beautifully with the CCB’s surrounding greenery and the building’s composition. Just in case you have plans to visit Portugal’s capital, don’t forget to check out my city guide for more tips on what to do in (and around) Lisbon. Ever since I read about the new museum for architecture, art and technology in Lisbon, or the MAAT, I couldn’t wait to visit this impressive piece of architecture on the bank of the river Tagus in Lisbon’s district of Belém. Unfortunately, I was only able to visit the foyer of the museum, as the new exhibitions were still a work in progress. However, the architecture itself did not disappoint. The tiled facade, curving towards the river, beautifully reflected both the sound of the waves and the play of light on the water surface. On the undulating rooftop, the balustrades and stairs collided into a playful composition of lines. I hope these images give you an impression of Amanda Levete’s design and encourage you to leave Lisbon’s city center for its Belém district. For more must-visits in the wonderful city of Lisbon, have a look at my city guide here. During our road trip through France, Lies and I indulged both in breathtaking nature and stunning architecture, and today I’m concluding my report of our trip with the latter. Le Point du Jour is a housing project designed by Fernand Pouillon between 1957 and 1963 in Boulogne-Billancourt, a Parisian suburb. The twenty five buildings house no less than 260 apartments, facilities and shops and yet the site never feels dense, on the contrary! The materials, the lines of the buildings, the greenery and the colors form a perfect composition that never bores the eye. A must-see if you’re visiting Paris and prefer magnificent architecture over tourist traps, but then again, who doesn’t? Inspired by Laurent Kronental’s photo series Souvenir d’un Futur, Lies and I decided to see those Grands Ensembles in Paris for ourselves during last summer’s road trip through France. These enormous housing projects were built between the 1970s and 1980s and were meant to be a solution to the housing crisis, urban migration and the inflow of foreign immigrants, while also meet modern needs. The resulting buildings must have looked pretty futuristic back then, but nowadays they feel rather like the captivating movie decor of a Modernist utopian city. 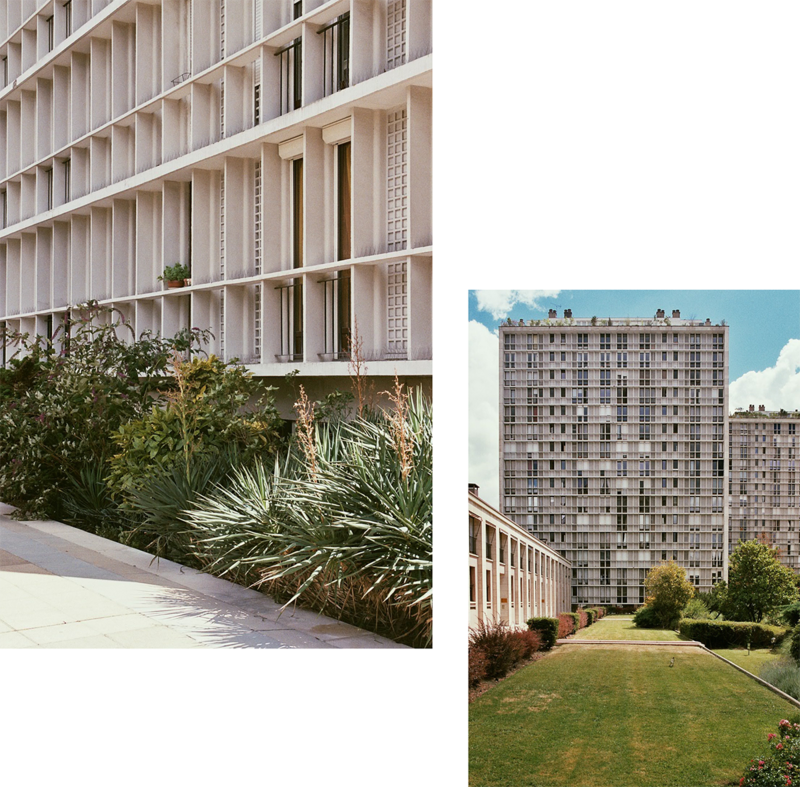 We visited three of these Grands Ensembles in the outskirts of Paris during our trip (one of which I didn’t photograph because it felt inappropriate, but you might have already seen Bofill’s Les espaces d’Abraxas in the hunger games movies anyway) and today I’m sharing two, the circular Les Arénes de Picasso in Noisy-Le Grand, designed by Manuel Núñez Yanowsky and the Le Viaduc (1980) and Les Arcades du Lac (1975) in Montigny-le-Bretonneux, designed by Ricardo Bofill and dressed in rosy hues. If you want to see more of our roadtrip, have a look here on the blog or here on instagram, and keep an eye out for my last post about our vacation if you’re enjoying these posts filled with stunning architecture! Our road trip from last summer brought us to the french west coast after we visited the impressive villa cavrois. We barely made any plans for this trip (we literally decided one day ahead that we’d drive through France), but Etretat was on the top of our list right from the start. With its stunning cliffs (including several natural arches) it is a however one of the most popular destinations at the french west coast for tourists. We had no desire to spend our night among the crowd, so we headed to a camping that still had a spot for our tent in the nearby village of Yport. Boy, was that a good choice! The campsite (and thus our tent) turned out to have a breathtaking view over Yport and its beach. We spent our days here reading, indulging in crêpes and baguettes and exploring the beach and the typical French village, before we headed to Paris. However, that’s for another post. For now, I hope you enjoy these photos of our stay. More photos of our trip can be found here on the blog or here on instagram. 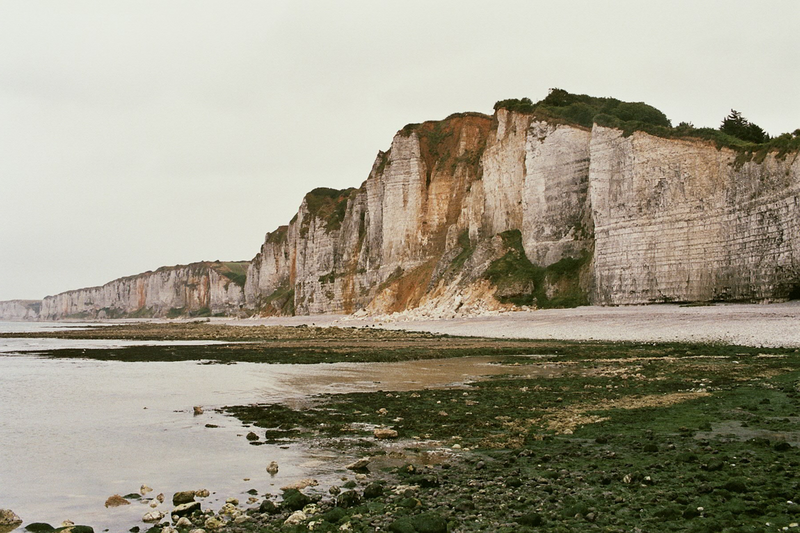 Are you inspired yet to take a trip to the french west coast yourself? 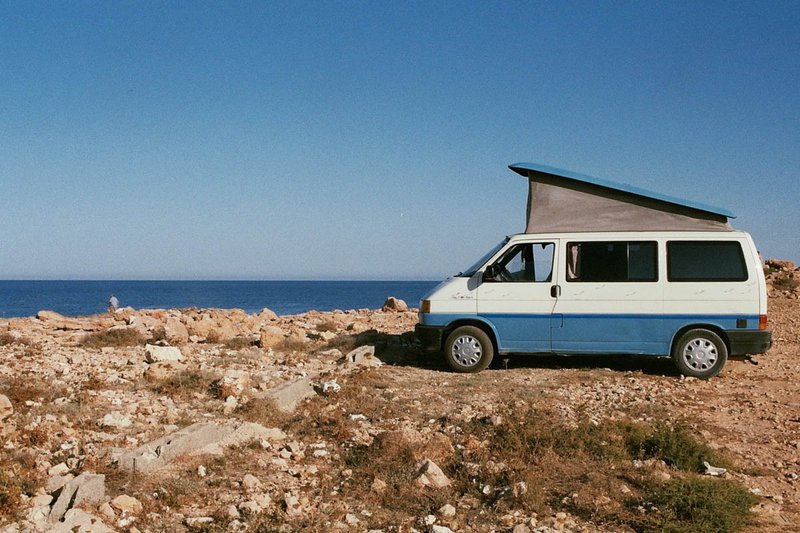 This summer, my friend Lies and I opted for a budget holiday, driving with our tent through the North of France, exploring both architecture and nature, while ending with a bit more luxury in Paris (hello hotel panache! 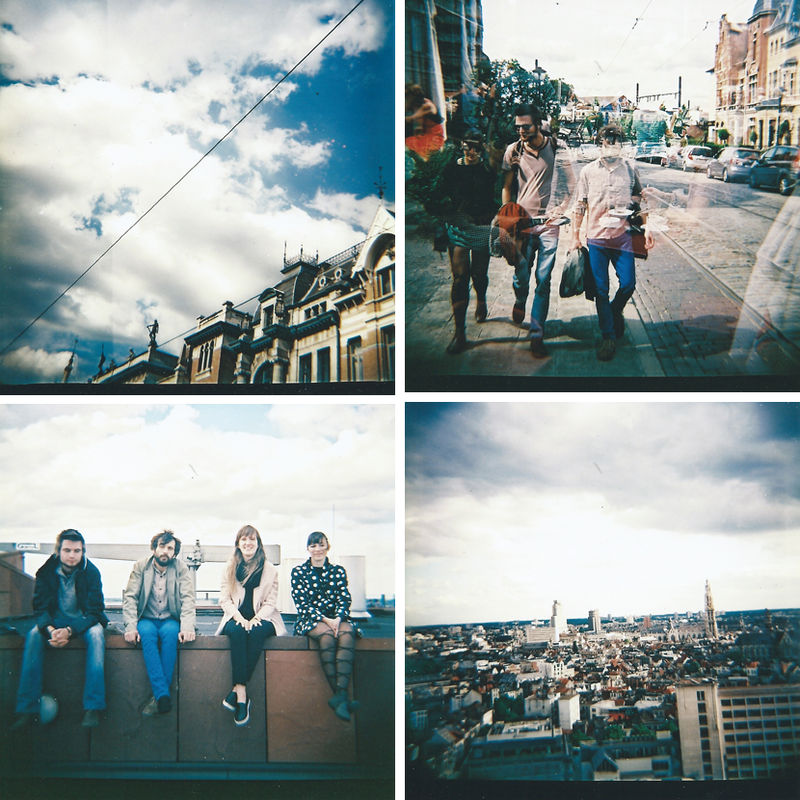 ), where we would meet up with our friend Eline. 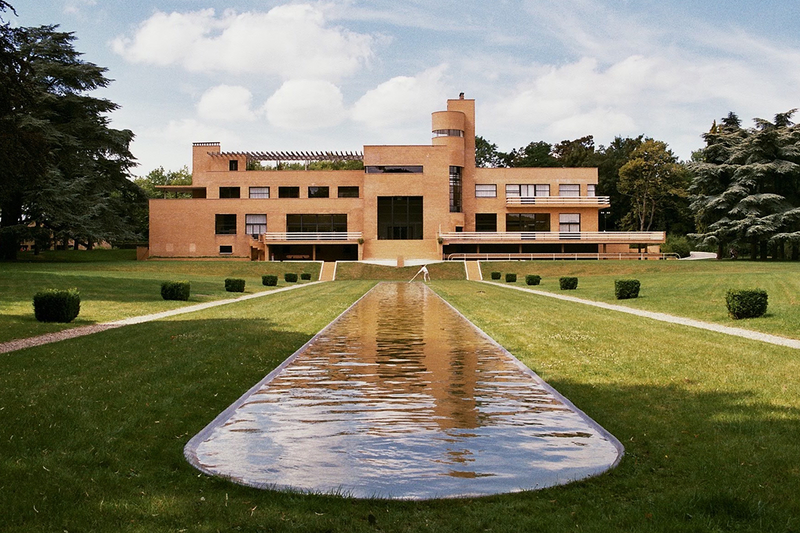 The first stop on this roadtrip was Villa Cavrois, an impressive modernist mansion located in Croix, just over the Belgian border. This “modern château” was designed in 1929 by Robert Mallet-Stevens for the wealthy Paul Cavrois (a textile industrial), his wife Lucie and their seven children. The architect also designed the entire interior of this 2800 m² mansion, and opted for luxurious materials such as marble and precious wood, while never losing sight of functionality. However, after being occupied by the German army during world war II and an unsuccesful architectural intervention, Villa Cavrois was abandonned and vandalized. Luckily the French state realized the value of this building and bought the property in 2001, with the goal of restoring it to its former glory. 13 years (!) of research and 23 million euro (!) later, Villa Cavrois is restored back into its original state of 1932 and open to the public. 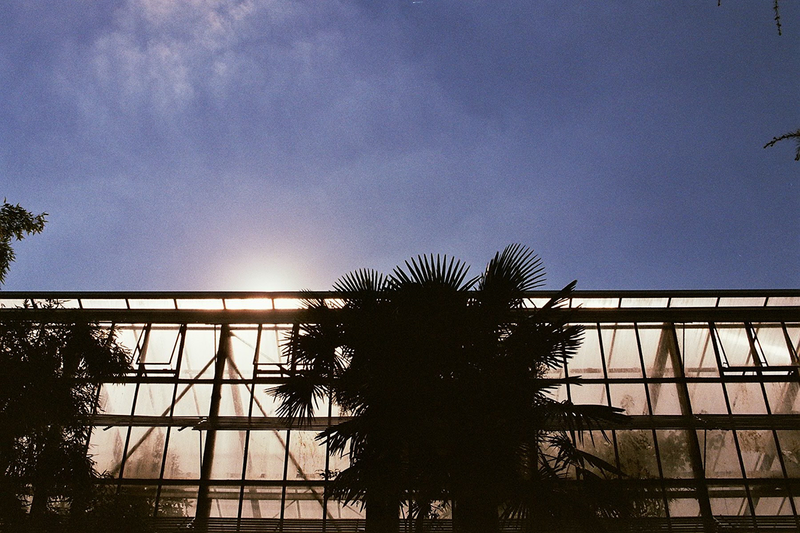 It’s no secret that I’m rather fond of botanical gardens, so it shouldn’t surprise you that when I planned to visit Cologne, the first thing I looked up was if the city had a botanical garden. 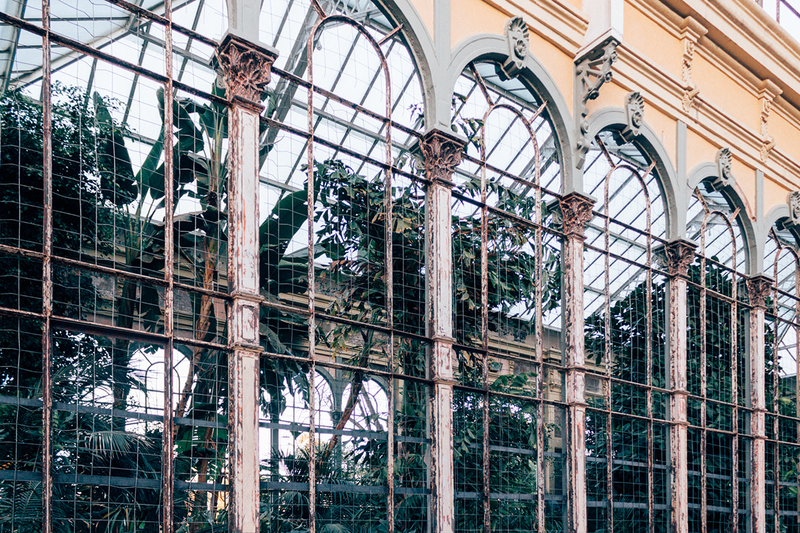 Wandering through the lush gardens, exploring its stunning greenhouses and reading while enjoying these exotic vies turned out to be a perfect way to spend my afternoon. What can I say, I just never get tired of botanical gardens! So here are a few fragments of Cologne’s most peaceful hideaway, hopefully this dose of greenery brightens your Sunday! Ever since I set foot in Cologne’s Kolumba museum five years ago, I’ve been in awe with this architectural masterpiece by Peter Zumthor. When I planned to spend a couple of days in Cologne this summer, the first thing that popped into my mind was that I’d be able to revisit the Kolumba, which I still remembered as one of the most impressive buildings I’ve visited. Curious whether or not it’d live up to my memories, I couldn’t wait to pay this museum for religious art a second visit. Built on the ruins of a gothic church, the building forms a stunning play on the contrast between old and new, light and dark, matte and reflective surfaces. Needless to say, I was not disappointed by my second visit at all. This summer, I felt the need to escape our little country on my own for a few days. When choosing my destination, I was looking for something not too far away so I could easily reach it with blablacar, not too expensive, not too touristic and preferably not in France, as I already planned to go there a few days later. Keeping all of this in mind and considering tips from friends, I decided on Cologne. I had already been there five years ago during a school trip, to visit what has become one of my favorite buildings, but didn’t really remember the city itself. Cologne turned out to be wonderful and exactly what I needed. (Would you like to see a city guide?) I enjoyed the sun (36 degrees! ), sipped on iced lattes, wandered the beautiful green streets of the city, caught up on my reading, admired that favorite building for the second time (I’ll show you the photos in a blogpost soon) and visited the most beautiful musea Cologne had to offer. One of those was the Skulpturenpark, a parc that hosts biennial series of sculpture exhibitions. The current exhibition, KölnSkulptur #8 will be on show until June 2017 and made quite the impression on me. 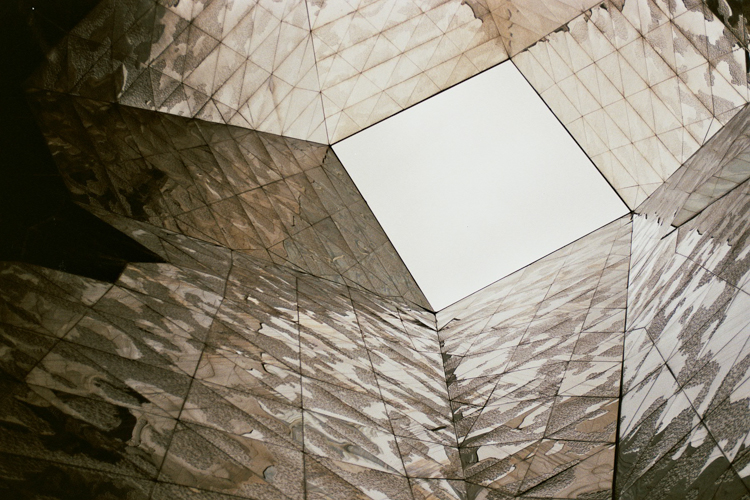 With works by Dan Graham and Sou Fujimotto among others, it’s no surprise that I shot nearly a whole roll of film here. I hope these fragments of my visit give you an accurate impression of the hours I’ve spent enjoying this beautiful parc. 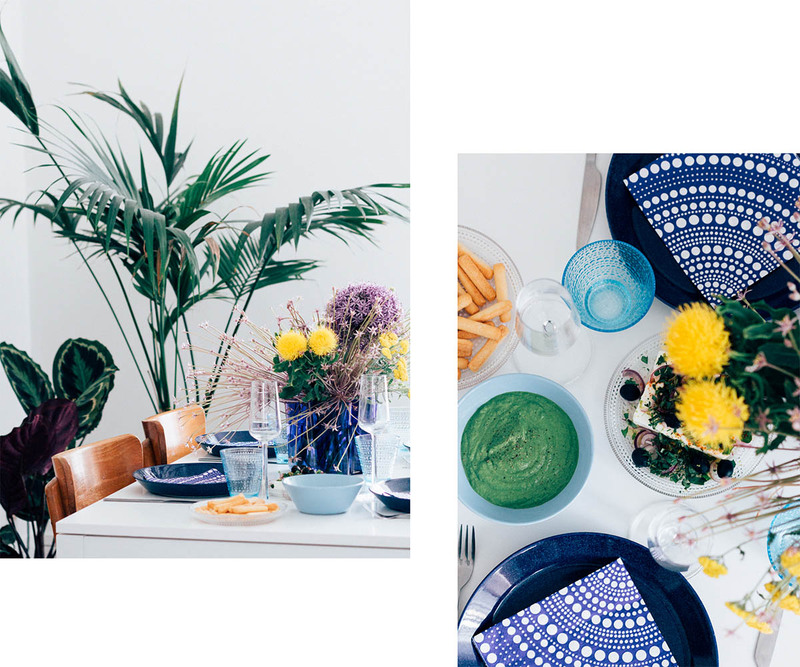 Today I don’t have an elaborate blog post for you, but instead I want to introduce you to the brand new website of Roomin. 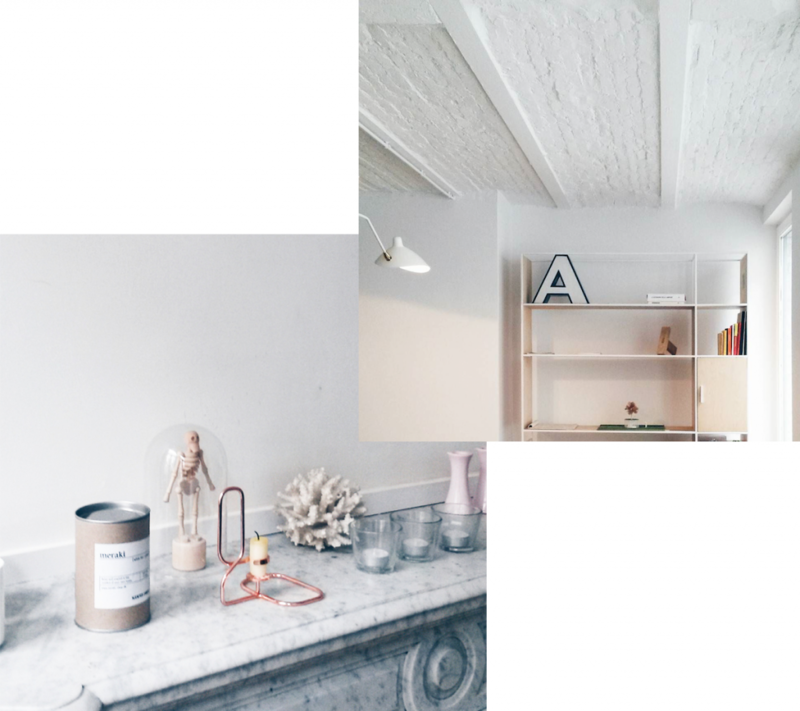 The hashtags #roominantwerp, #roominspiration and #roominsiders on social media might have already given you a heads up about what’s going on, but I still wanted to give a proper introduction to this wonderful project that I’m a part of. Whenever Existenz Maximum takes place, I always try to make some time to see what the first Master of architecture students in Leuven have achieved, and it’s never a disappointment. I’m just showing you a few fragments of last year’s edition in an abandoned school building (above left you see my photos at the expo about 20 years of Existenz Maximum) in hopes of getting you excited about the upcoming project week filled with architecture related lectures, workshops and good times. Looking at the program that they just released, discovering this year’s edition is a must if you’re spending time in Leuven next week. And while you’re at it… try visiting these places too. Back in October, Lies and I headed to London for a visit to our friend Camiel. Trips like these are my favorite: no pressure, no tight schedule, but quality time with friends and seeing the city through the eyes of a local. 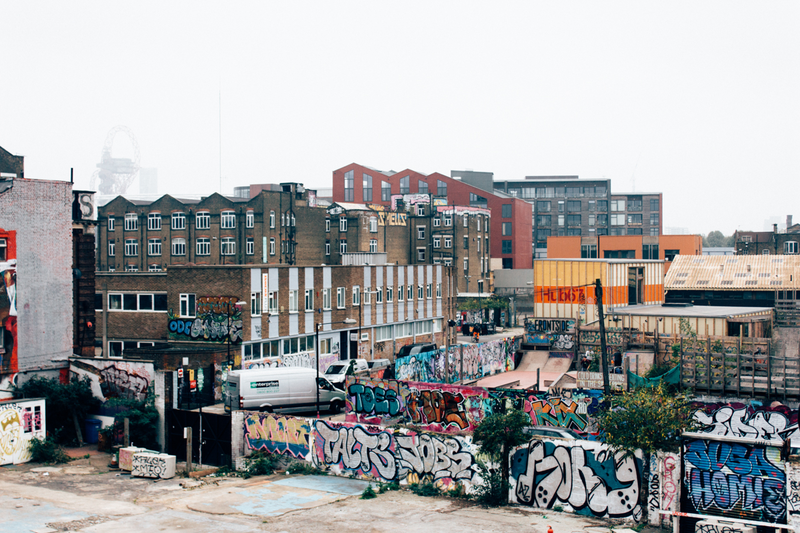 We spent our time in Camiel’s neighborhood in South London, Hackney Wick (here’s a tip for pizza and beer and brunch) and on the other side of the city, in Brixton Village (see Laura’s guide for tips), Clerkenwell and Dulwich. We savored the food at local markets, chatted with inspiring artists (like painter Jo Dennis) and artisans (like this leather bike saddle designer), explored the city on our rental bikes, enjoyed some down time at Camiel’s impressive home, marveled at the pink plastic beauty of the Serpentine Gallery Pavilion by Selgascano and discovered the breathtaking garden room of the Barbican. I have many pictures of that last one in store for you later, but for now I’m leaving you with these fragments of the rest of our trip to London! 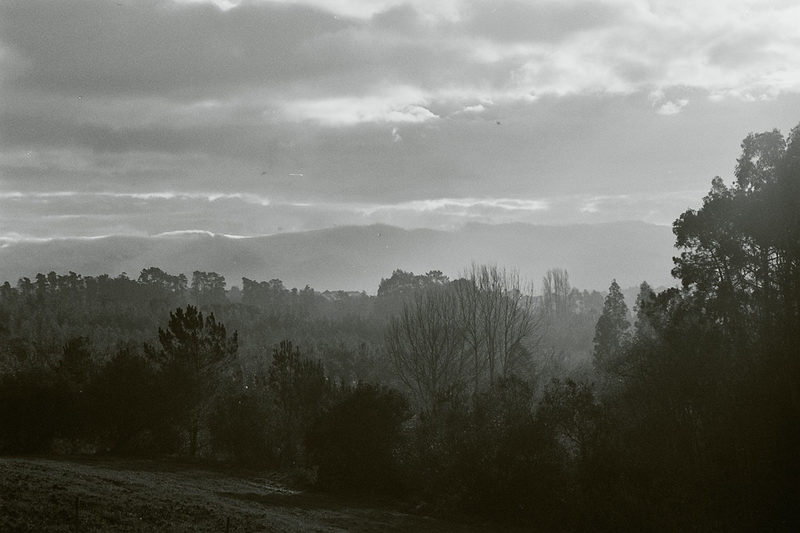 One of those little joys in life, to me at least, is picking up freshly developed photos. The cashier handing that envelope over, your anticipation growing while you still have to pay, walking out the shop while trying to contain your curiosity, wondering how the photos of your endeavours turned out and which adventures you totally forgot about. 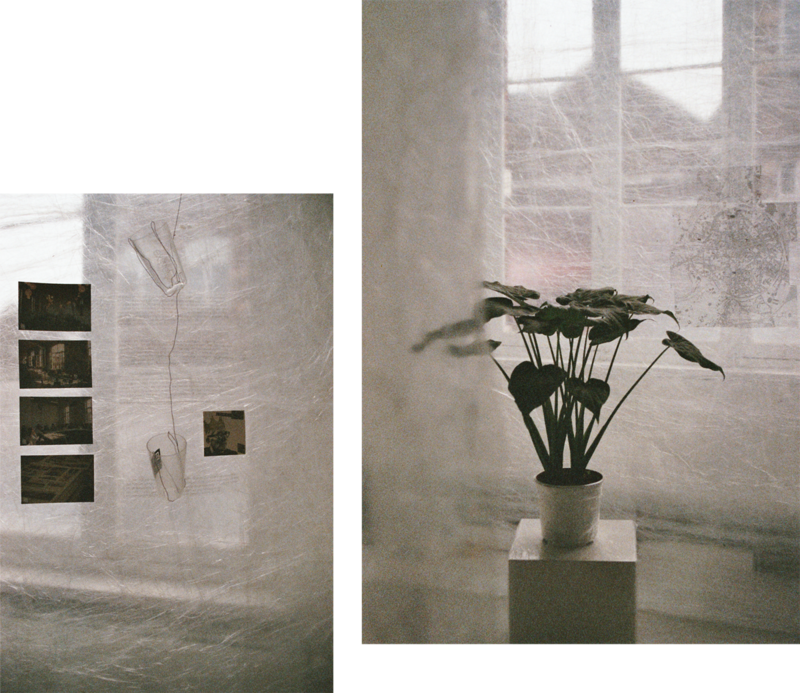 Ever since I started blogging again, I’ve been shooting less on film, which meant this particular roll of film took me quite a long time to finish and by the end I barely remembered what I had photographed in the past months. 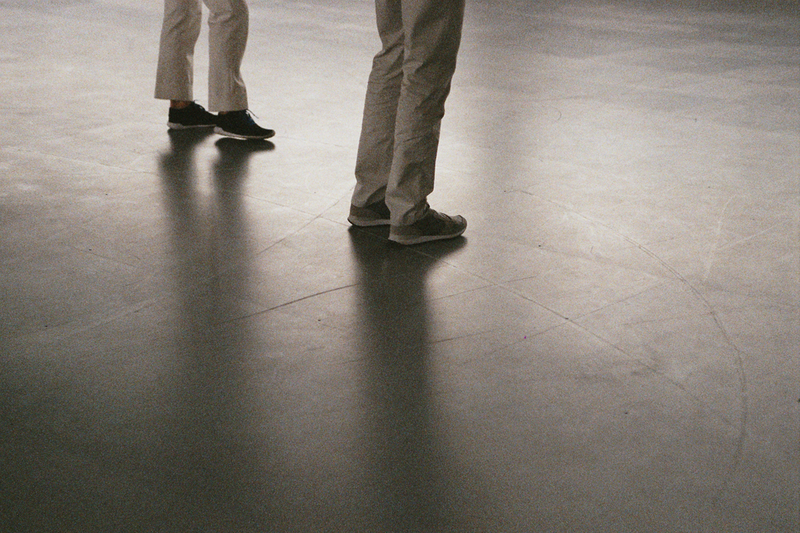 One wonderful memory this roll of film brought to mind, was my visit to Wiels to see Belgian choreographer Anne Teresa De Keersmaeker’s Work/Travail/Arbeid. This particular project embodies a mix of an exposition and a performance, as she reinterpreted her work for Vortex Temporum to match the impressive space of the contemporary art institution Wiels. Work/Travail/Arbeid was set up to be a nine hour performance where the dancers and musicians moved from space to space and that for nine weeks in a row. I could have spent a whole day watching this performance, but I’ll have to do with the memories and these photos to relive this breathtaking experience. While I’m writing this from my new home (more on that later! ), my latest trip to already seems so far away even though it’s been only three weeks. As you might have seen on instagram, I traveled to Portugal to spend Christmas with my family in my parents’ holiday home and to reconnect with old friends in Lisbon, where I studied one semester. 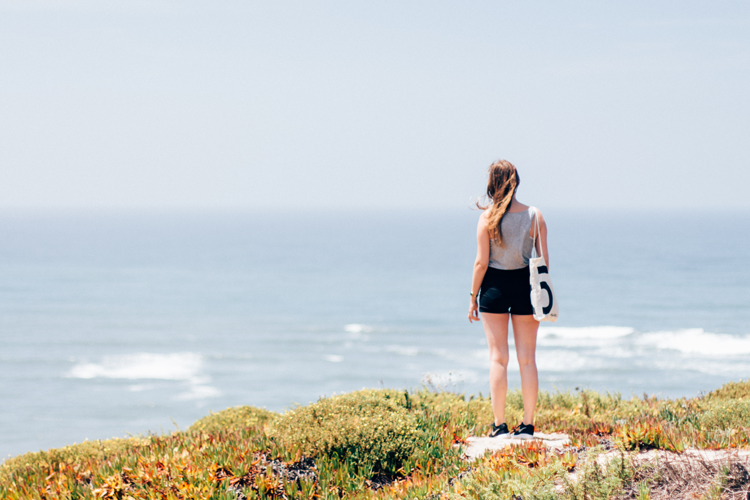 Together with my parents and sister, we enjoyed the view from their home (see the first photo, taken from my bedroom), explored medieval town Obidos and treated our dog and ourselves to a refreshing walk on the beach of Foz do Arelho. After handling deadlines at work and struggling a little bit with my health, I decided to bring my film camera instead of a digital one, to give myself a true break from daily life and enjoy this beautiful country that feels like my second home to the fullest. Lisbon always manages to ease my mind, but being able to leave everything behind for a short week gave me the necessary energy right before moving into a new place. While I’m slowly getting settled into my new home, I’m looking forward to get back to regular blogging again, especially since I still have a ton of photos and an interesting interview to share… Soon! With the weather getting colder and work taking over these past few weeks, I can’t help but reminisce about past holidays during warmer times. 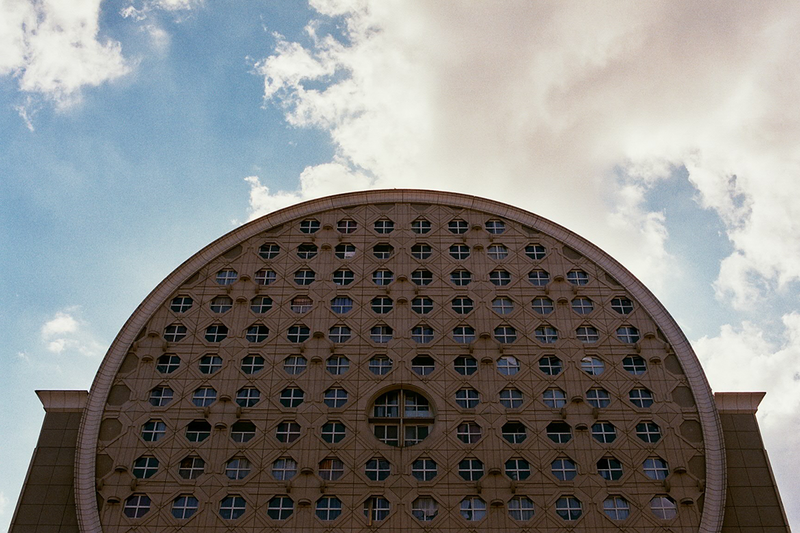 One of those trips that I haven’t shared yet, was this summer’s stay in Berlin. After spending some time in Leipzig and exploring Melt! festival, I figured it was about time I’d make it to Berlin. Together with one of my best friends, I finally headed to the city that had been on the top of my to do list for quite some time. 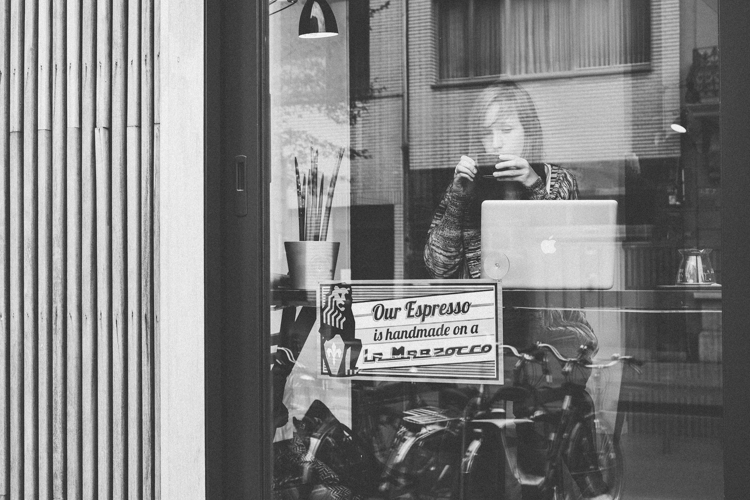 We spent our stay there wandering the streets of different neighborhoods, sipping coffee, riding our bikes, exploring architectural gems, sleeping on a boat(!) and drinking beers. After the intense experience of Melt! festival, these few laid back days were exactly what we needed before getting back to Belgium. I did fulfill my blogger duties though and photographed a few places that I discovered. Maybe you already saw one of them in a previous blogpost, but I’ll share the others with you soon. For now, these photos bring up lovely summer memories while I’m already looking forward to my next trip. Curious where I’m going? Here‘s a tip. There’s a little piece of paradise in the east of Belgium: the Sahara of Lommel. 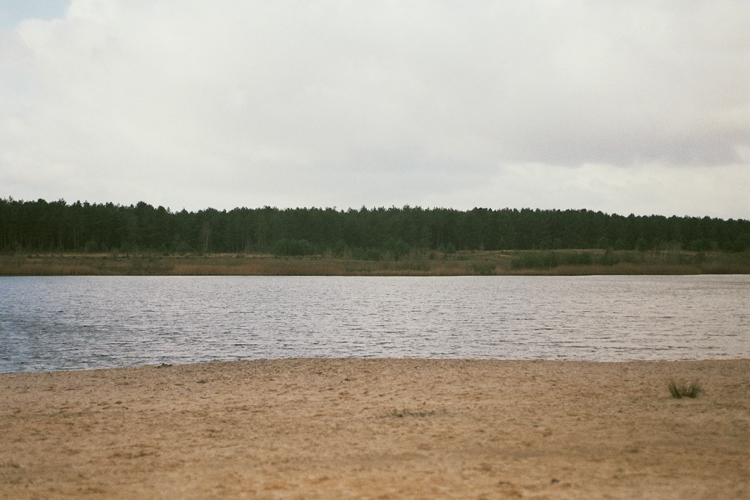 After a short walk through the forest, the pine trees reveal a breathtaking view on ponds surrounded by a sand plain, making it hard to believe you’re still in Belgium. Surprisingly, this nature reserve was formed by the remnants of sand mining and pollution from a former zinc factory. Its fumes caused the old vegetation to disappear and revealed a sand plain instead. The current pine forest was planted to ensure that the sand plain wouldn’t expand and the old sand pits were filled with water, completing the stunning picture that is the Lommelse Sahara. Although this location is often used as a background for photo shoots or movies, when my friend Lies and I visited, it was a particularly quiet day on the Sahara. Combined with the moody weather (that later cut our visit short with a hail storm), the desolate plain and forest made for quite a photogenic walk. If you’re still deciding on what to do this wonderful Sunday, I think I’ve made the decision a little easier for you… Lommel calling! 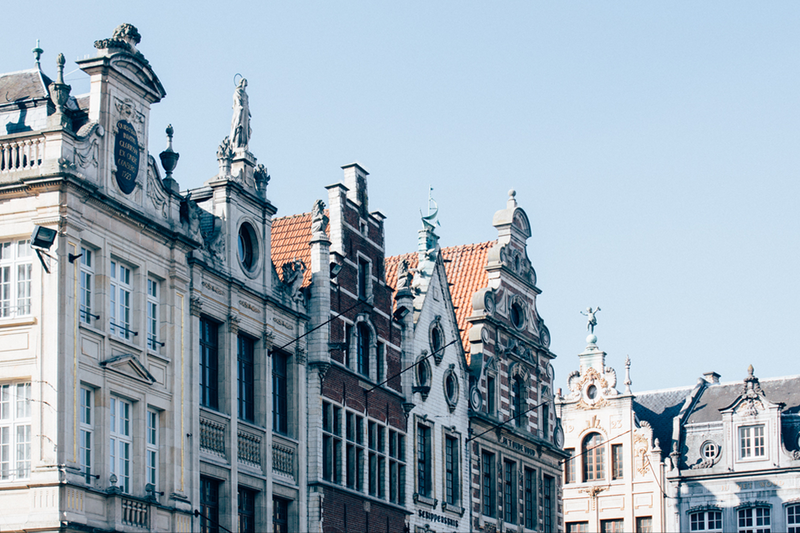 When Accor hotels invited me to spend the weekend in Leuven, it felt like the perfect opportunity to rediscover my former hometown. I’ve lived in Leuven for five years during my architecture studies and even though it felt too small after my return from Lisbon, I’ve always loved living there. While Leuven really is small, it also has a lot of things to offer. There’s a lively creative scene with talented musicians and artists, each year the architecture students of the first master turn an abandoned building upside down for Existenz, while the students from Loko do the same for Ithaka, you’ll find lots of beautiful architecture – both old and new – in the streets of Leuven and (not unimportant) food and drinks are quite affordable thanks to the many students here. Paulien and I stayed in the Hotel ibis Budget Leuven centrum, which turned out to be the perfect starting point for our weekend as it is located next to the city’s train station and close to pretty much everything. 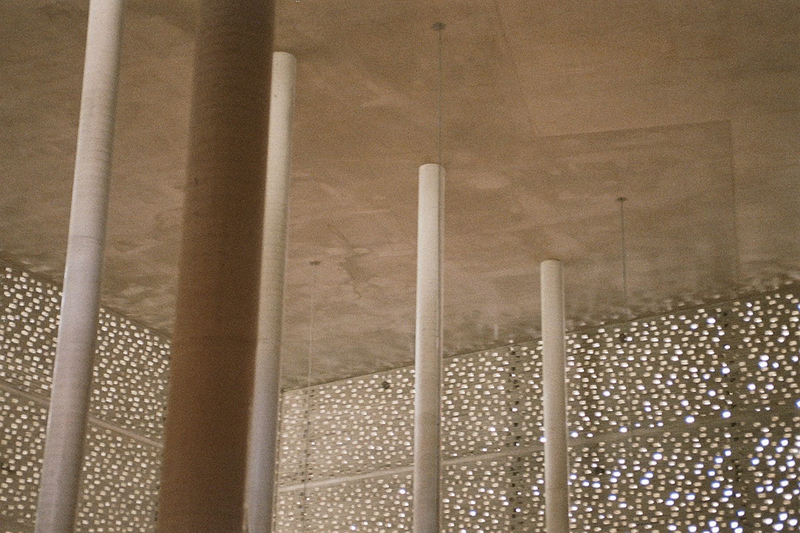 (And for architecture lovers: it has some pretty interesting concrete detailing on the facade!) As the big draw was taking place in the city during that weekend, it was the perfect moment to stroll through the streets of Leuven and admire the many beautiful drawings in the shop windows, take numerous coffee breaks, explore the antique and artisan markets, devour delicious vegetarian hot dogs, get a new haircut and enjoy the sun and beautiful plants in the botanical garden. We discovered a lot of interesting new places that popped up since I left the city (I already blogged about one here), so I’ll soon share them here in a city guide and highlight my favorites in their own blogpost. For now I already wanted to share a few fragments of the atmosphere in Leuven and inspire you to book your very own getaway to this lovely tiny city. We only spent half a day in Leipzig, so I wouldn’t exactly call myself an expert on this German city. However, Leipzig didn’t leave us disappointed. Someone told me in advance that he absolutely loved Leipzig and felt that it was “the new Berlin”, where you could still feel the remnants of former Eastern Germany. A few days later I set foot in Berlin for the first time, so it’s not that easy to compare, but I certainly recognized the contrast between beautiful lanes on the one hand and their grungier side streets on the other. I didn’t take that many pictures, so I’m only sharing a few fragments of our one day stay here. 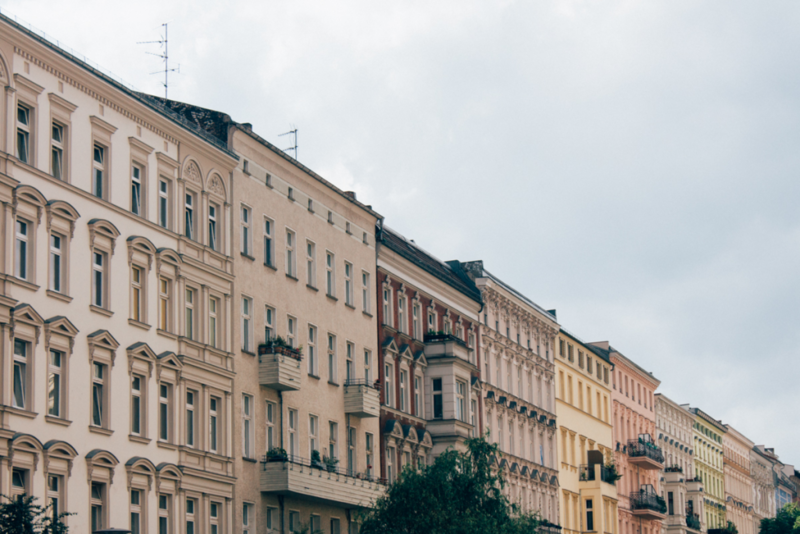 They give you a peek into the Karl Liebknechtstrasse, located in the upcoming Südvorstadt neighborhood. With its colorful facades housing a mix of vintage shops, boutiques, restaurants, bars and clubs, it’s impossible that you’ll ever be bored here. And if you have explored everything ‘Karli’ has to offer: coffee bar Mein liebes Frollein, which I’ve blogged about before, is located in one of the sidestreets, and so is the Leipziger Hafenbar. Running into their beautiful garden was a surprising sight in the city, and thus we enjoyed a refreshing drink there. We didn’t take any pictures though, so you’ll have to experience this one for yourself! So, did I convince you yet to visit Leipzig? Personally, I wouldn’t mind to spend a few more days in this city and explore more of what Leipzig has to offer! Strolling through the streets of Leipzig, Enya and I were quite surprised when we came across this beautiful St. Trinitatis Catholic parish church. 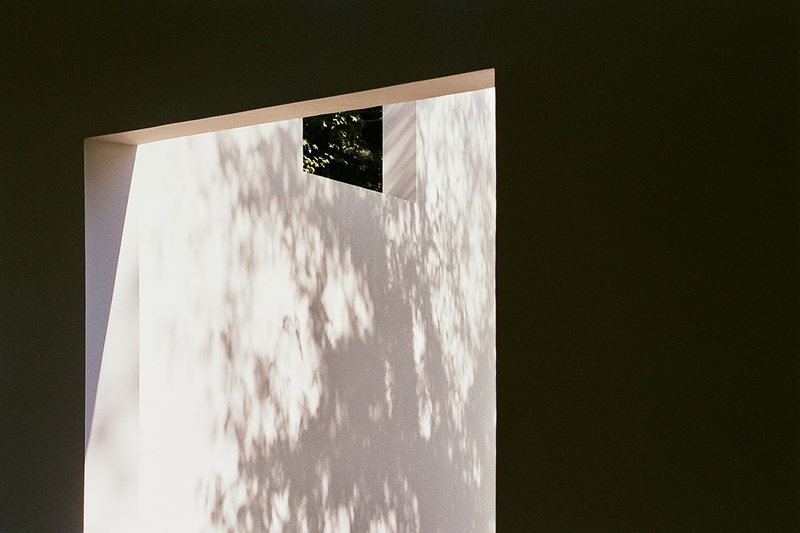 Intrigued, we entered this building by Schulz und Schulz and discovered its clean lines and wonderful light. The perfect place for a fan of abstract architectural photography like myself. You can find my photos below and for more information about the architecture, you can take a look at the Schulz und Schulz website here. These photos were taken during the time I spent with my family in Portugal, on the same day that we made the beach walk at Praia da Polvoeira in Pataias. On our way home, we stopped in Nazaré, a town that is mostly known for its impressive waves and equally impressive surfers. It’s a lot more touristic than Praia da Polvoeira (as the last picture shows), but we only watched the crowds from up high. Instead of joining the sun lovers and the surfers, we took a short walk to Forte de São Miguel. You’ll only see it from a far in these photos, as I mainly enjoyed the nature and the view from above. Hopefully you’ll enjoy it as well, because these are the last photos I have to share from my stay in Portugal. Luckily I’m not done yet with reminiscing about my summer holidays, I still have a lot to share from my stay in Leipzig and Berlin. Check back soon! You’ll surely remember I spent some time in Lisbon this summer (thanks to my many blogposts about this amazing city), but this wasn’t the only part of Portugal I visited. Before I went to Lisbon, I stayed a couple of days with my parents, sister and our dog at our holiday home near Alcobaça. Those days were mostly spent reading by to the poolside but also exploring the beaches in the area. One of those beaches was Praia da Polvoeira and its beauty totally blew me away! This beach is located in Pataias, a freguesia of Alcobaça, and not that far away from the crowded beach of Nazaré, but Praia da Polvoeira seemed rather undiscovered by tourists. If you’re used to Belgian beaches, it’s quite an experience to feel like the beach belongs to only you! However, that’s far from the only reason I loved walking here. I’ll just let the pictures do the talking! 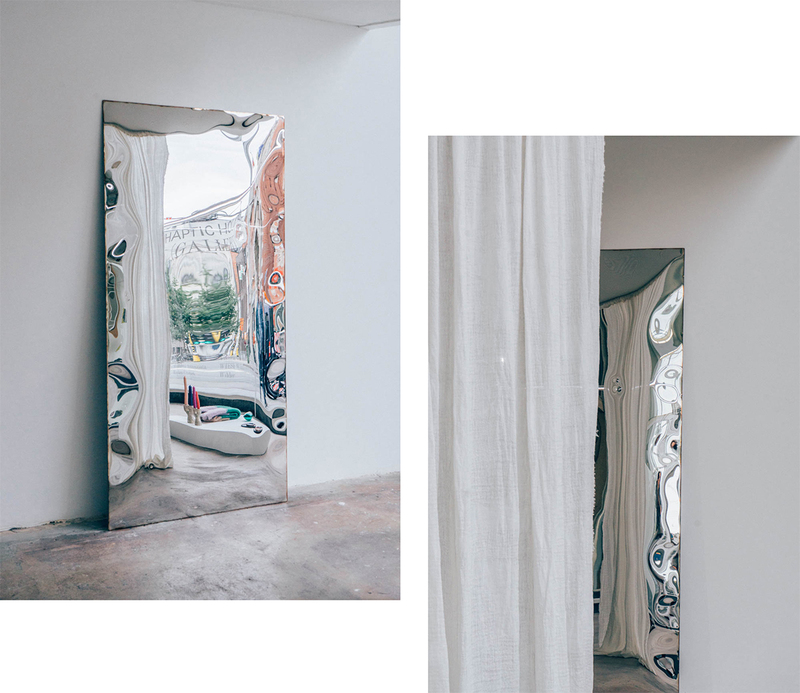 Ever since I first laid eyes on the work of Muller Van Severen, I’ve been a huge fan, so it’s no surprise that when their furniture was exhibited at gallery Valerie Traan, I visited the expo no less than three times. There’s just something so fascinating about the simple lines and combination of materials . I initially photographed the exhibition for a guest post I was supposed to write in September (but I sadly didn’t have time to deliver it as I was drowning in my to do list), which also means that if you haven’t seen the expo, it’s now very much too late. Sorry about getting your hopes up! 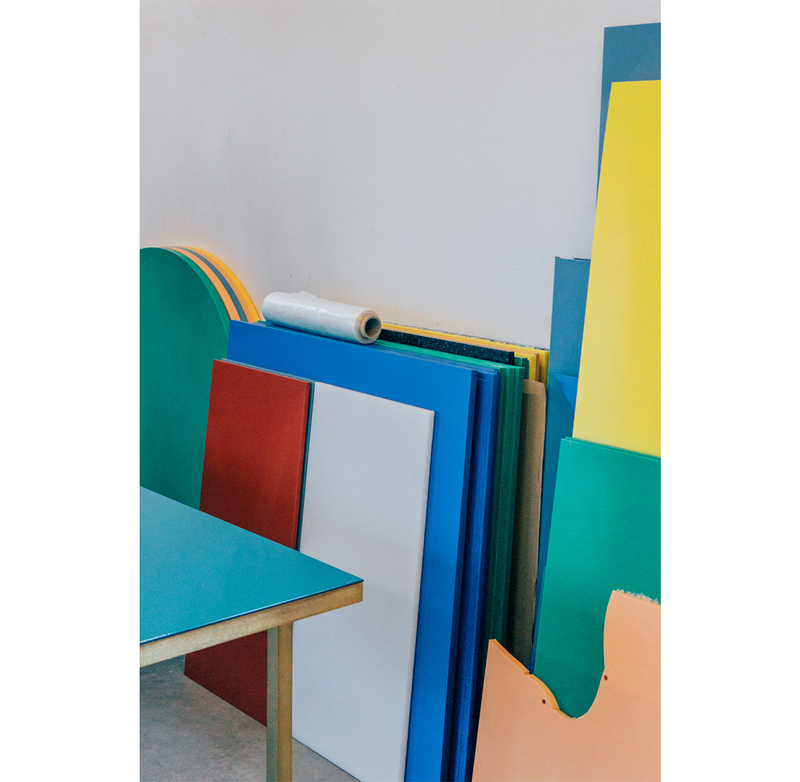 Nevertheless I still wanted to finish these photos and share the beauty that sprung from the minds of designer duo Fien Muller and Hannes Van Severen. While you are reading this, I am on my way to Portugal, to enjoy a couple of days on the countryside with my family and a weekend in Lisbon with my old friends. I’m super happy to be spending some time abroad (and in my favorite city no less), but that doesn’t mean that our own little country of Belgium has nothing to offer. 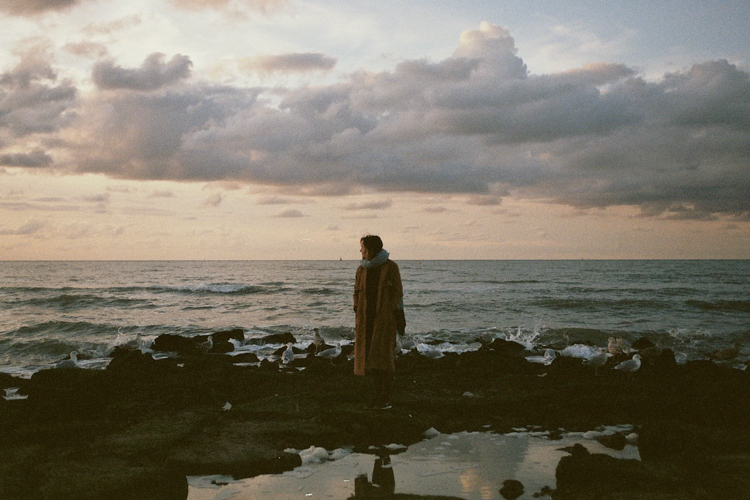 Last October when the temperatures were much lower, me and my friends Eline, Lies & Anne-Sofie spent a weekend at the Belgian coast. Even though a lot of things went wrong during our little getaway (which is why we’re still referring to this trip as “the anti climax weekend”), the beauty of our Belgium seaside did not disappoint. Now that we’re experiencing a heat wave in Belgium, I wouldn’t recommend spending your time at our overcrowded coast, but these images definitely prove that us Belgians don’t need to travel far to experience a beautiful sunset and remind me that I should explore our tiny country more often. In November I made a trip to Barcelona, where I spent a couple of days with a friend and two days on my own. My friend had to head back sooner than me but I preferred to have more time off from my busy schedule in Belgium. With “Fiets & the city – Barcelona” in hand, I took the metro to Poblenou to check out their recommendations on modern architecture. Herzog and de Meuron’s Museu Blau, the natural history museum, was my favorite discovery, with it’s interesting textures and reflections. Next to Museu Blau, you can also find the Diagonal 00 Telefonica Tower (by Enric Massip-Bosch_EMBA), with its graphic lines. My last stop was Can Framis, Jodi Badia’s concrete museum which houses a collection of contemporary Catalan art. As it was Monday, both museums were closed so unfortunately my architectural field trip was limited to outside views only, but worth it anyway. 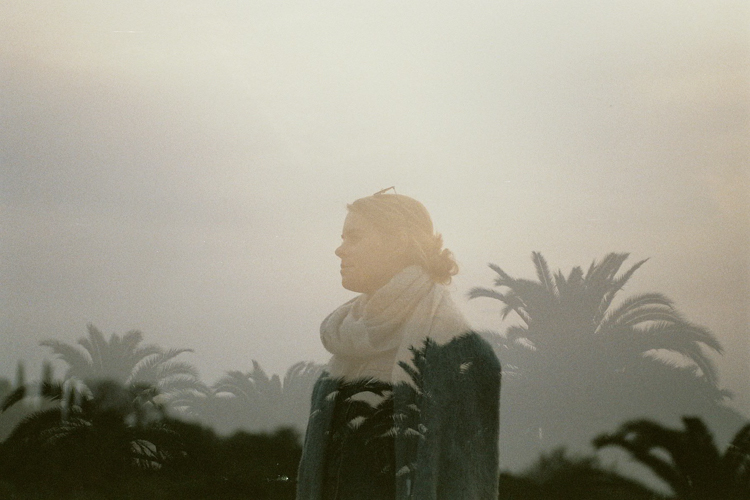 In November I made a short trip to Barcelona with my friend and textile designer Ella De Vos. We both visited the city a couple of times already, so our plan was to do absolutely nothing but relax. We needed a few days to escape our busy lives in Antwerp and a few days where nothing was planned but drinking coffee or wine and eating tapas seemed perfect to us. One particular day, we decided to be a little more adventurous, so we followed this book‘s advice and rented bikes to ride up to Montjuic. Maybe Definitely a little too ambitious for someone who doesn’t work out regularly (the hill is really steep), so we decided to make stops on the way up instead of on the way down, like our city guide recommended. This still is quite an effort, but the views you get along the way definitely make up for it. Welcome to the new and improved Au Pays Des Merveilles! It’s been six years since I started blogging under the name Au Pays Des Merveilles and while I still love the name and the sentiment of everlasting wonder behind it, I felt the need to take this blogging thing a little bit more serious. When I had to take a break from blogging to focus on graduating, it seemed like the perfect time for some blog reflection. 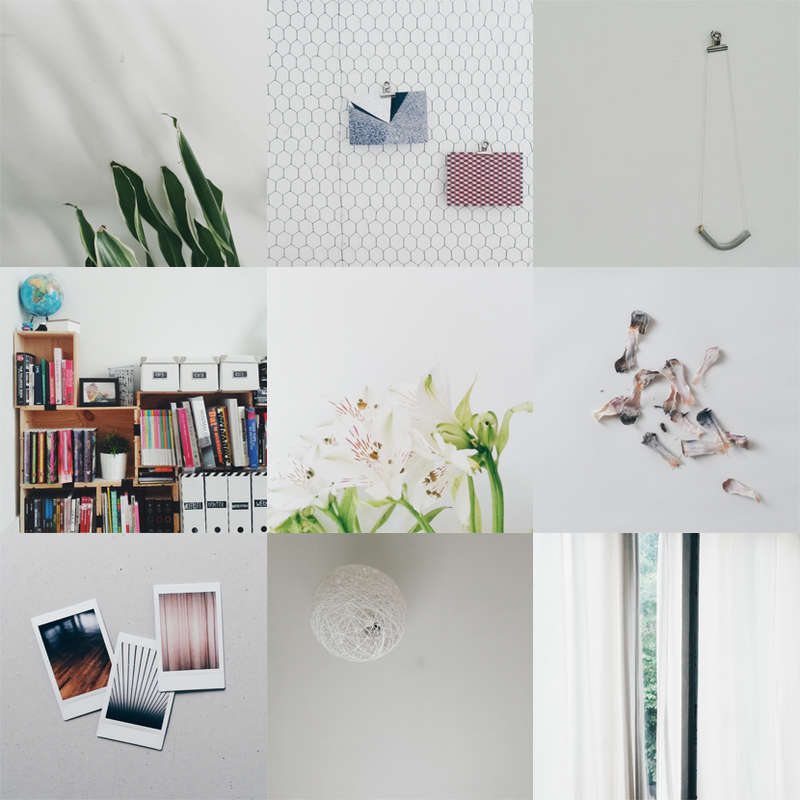 After a much longer break than I anticipated, it is much more clear to me where I want this blog to go and I’m super excited to share more beautiful homes, fascinating people, impressions of cities and their most interesting places, still complemented by collections of all kinds of pretty things. A little word of explanation on this whole new design: if you go to hello > about, you can find a few words about me and the blog, but also a list of all the cities and countries I’ve visited. 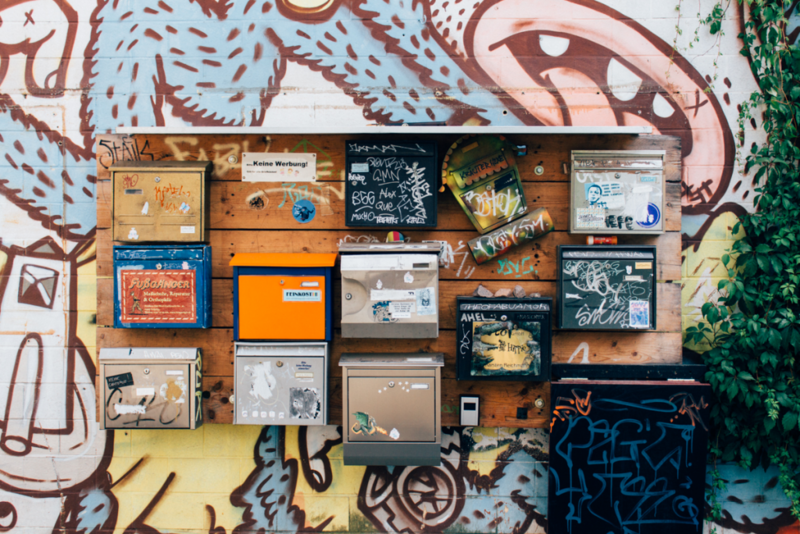 This gives you the chance to browse through the posts by city. If you go to wanderlust, you can find my Lisbon guide and soon guides for other cities will be added. I will keep these up to date with new discoveries, so keep an eye on them when you’re traveling to these places! Under topics, you can find all the categories I’ll be writing about. Architecture contains all the posts I’ve ever written concerning architecture. Collection will replace pretty things but the concept stays the same, I’ll regularly share a collection of certain items. Explored will cover all the places I’ve been to and want to recommend to you: coffee bars, restaurants and shops, but also parks, beaches or cool buildings. 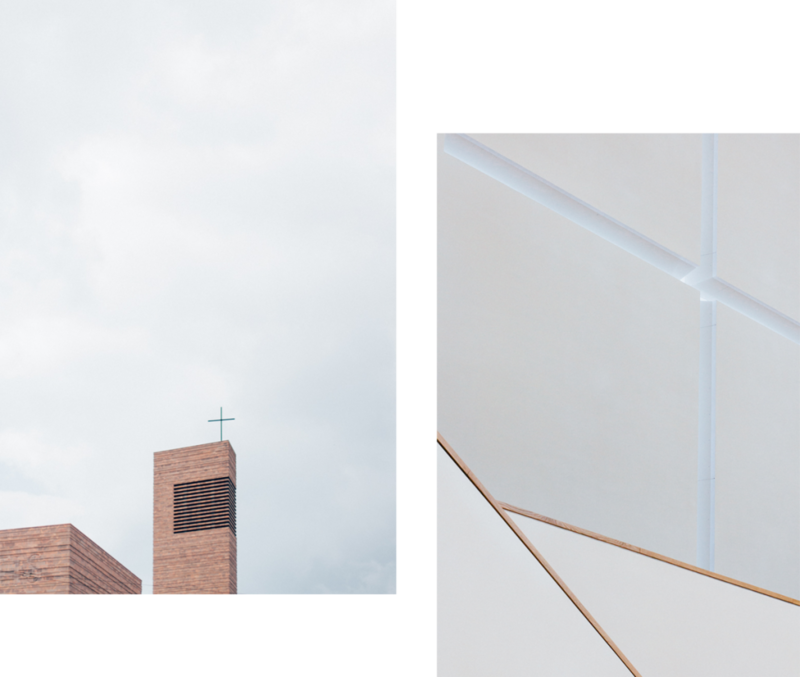 Fragments will show snippets of what I’ve been up to, a broader image of a city I’ve visited and a bit more personal stuff. 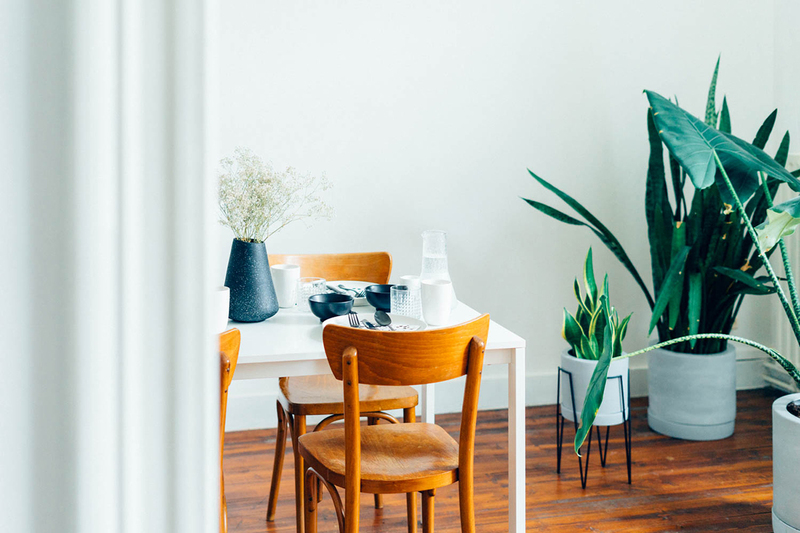 Insights gives a peek into someone’s home. First up is mine, but others will follow soon. These will focus on people who, just like me, have just started their career or are still figuring things out, who don’t have that much funds (yet) but care about making their place feel like a home anyway. 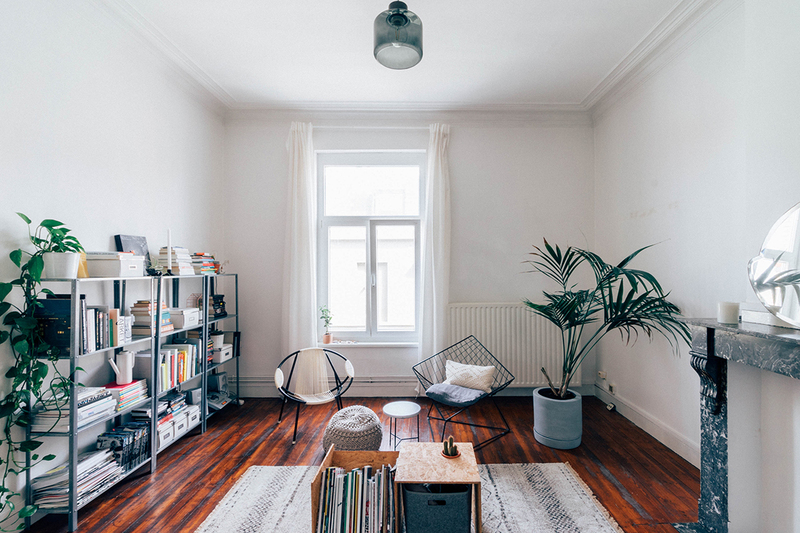 You won’t see design filled houses but real homes, with hand-me-downs, thrift shop discoveries and surely some Ikea. For sundaze, I will tag along with someone on their favorite weekend activities, to see their city through their eyes. Lastly, you’ll find some of the results of my job as a freelance photographer under work. Everything else is pretty self-explanatory, but if you have questions (or discover some things that don’t work yet), feel free to let me know! PS. I’d like to give a little shout-out to Light Morango, who designed this theme. 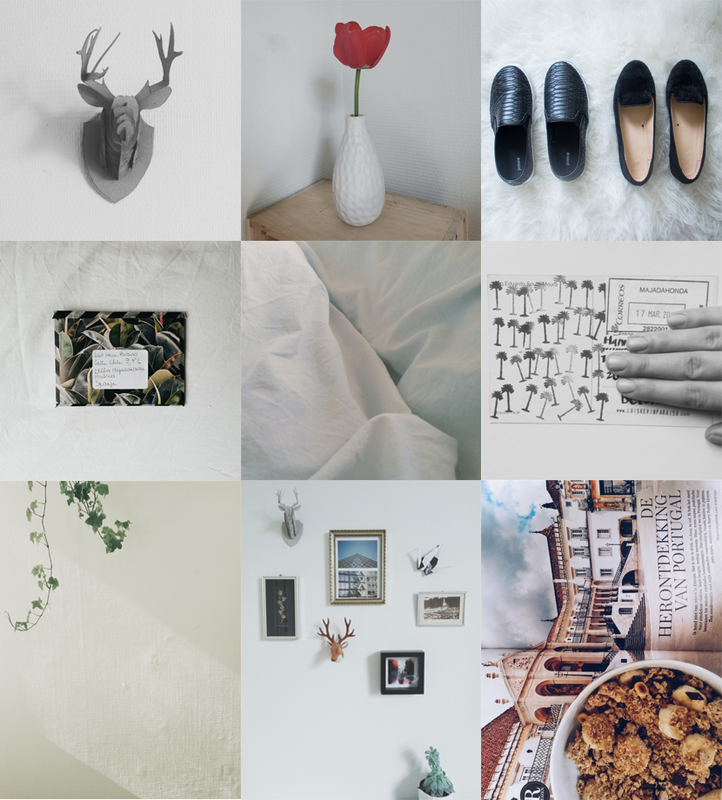 If you’re in need of a new wordpress theme, be sure to check out her shop! Her designs are not only super pretty and affordable but they come with a really helpful guide that helps you set up your new lay-out in no time. On top of that, she’s happy to help if you’re not entirely satisfied with the result or run into some problems. Two thumbs up! The amount of pictures I took in the month of June is astonishing. It seems like I’m finally getting used to that phone camera and being able to take pictures at any given moment, and I’m loving it! 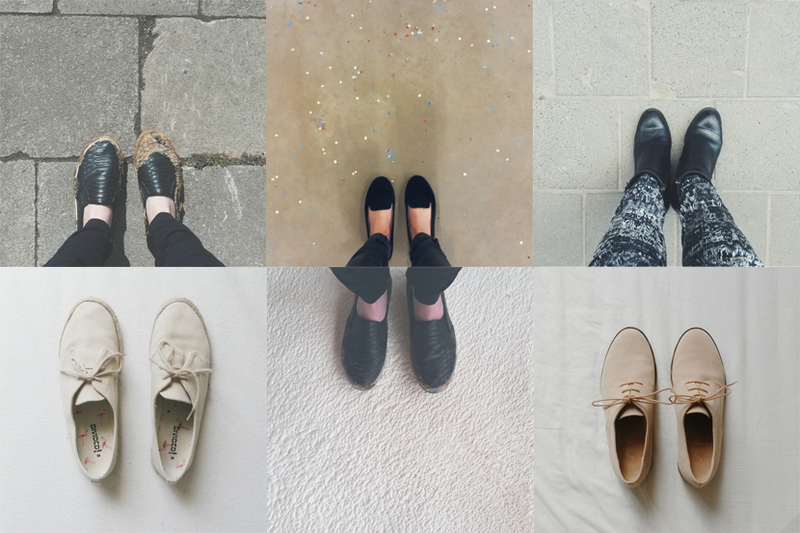 The past month has been super busy once again, as you might have noticed on my instagram. I divided my time between working on my thesis and a few photography jobs, but luckily there was time to catch up with friends and time for a few blogging events with pretty clothes and yummy ice cream. Here’s a little recap of what I’ve been up to, featuring instagram shots and a few photos that you haven’t seen yet! Now that I have a fancy phone with a somewhat decent camera and an instagram account, I figured I would share a monthly “instadiary”. Not to worry, I’ve included a few other shots that didn’t make it to instagram, to keep it interesting for those of you who already follow me there! My life lately revolved mostly around writing my thesis (which explains why it has been so quiet here lately), with a few blog events (where I finally got to meet a lot of lovely other bloggers!) and photography jobs in between. As I mentioned 2 weeks ago, I love giving handmade gifts. Last week, it was my friend Lien’s birthday. This girl is a music lover who still collects records, which makes her the perfect receiver for this LP-turned-clock experiment. 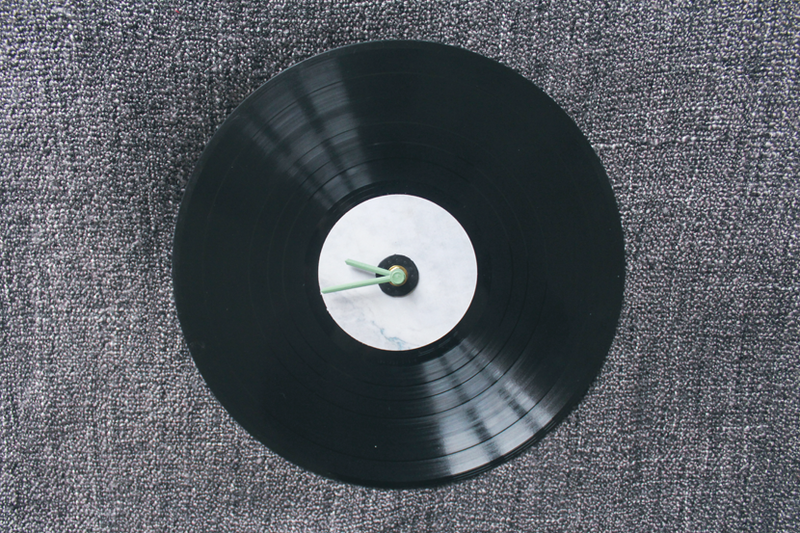 All the experimenting aside, it’s a very easy diy: find yourself a clock mechanism at your local craft supply store, an old record at the closest thrift store and you can already get started. I threw some mint green spray paint in the mix and covered the original label with a marble texture I printed on thick paper. By now I’ve made a second clock, which took me about 20 minutes to make (told you it was easy) but this first clock took me quite some time to say the least. I blame it on all the experiments that involved different clock hands that turned out not to fit the mechanism (I might have to complain to my craft store about that), trying to paint the original label with acrylic paint (turned out awful, so tips on obtaining a smooth surface without visible brush strokes are welcome), finding the right size of saucer to cut out the circular label, figuring out the order of all the bolts and rubbers that come with the mechanism (still no clue, I winged it) and cursing the opening of the LP that was just a little bit too small for the mechanism to fit through (I solved it by wrapping some sanding paper around the handle of a thin paint brush, pushing it through and twisting it around). Yes, lots of trial-and-error, which means you can don’t have to do that anymore when you give this a try! Have fun! PS. For more DIY ideas, take a look at the diy category on this blog here or on my diy pinterest board. It’s been 5 months since I moved into my new place in Antwerp, and I still love waking up to these views every morning. 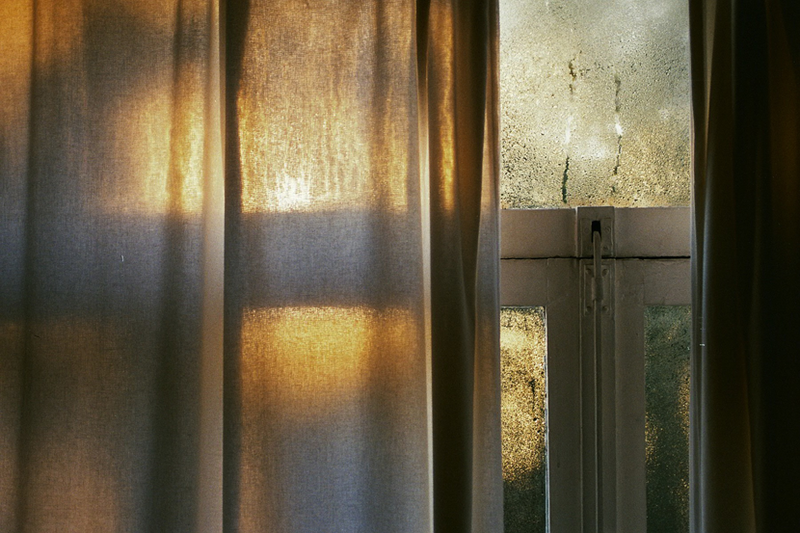 The sunlight filtering through the curtains, the waterdrops on the window lighting up as if they were gold, the shadowplay on the walls. Here’s another sneak peek of where I live, before I take you on a proper tour. Number two, finally. The atmosphere and colors that have been collecting in my mind recently. 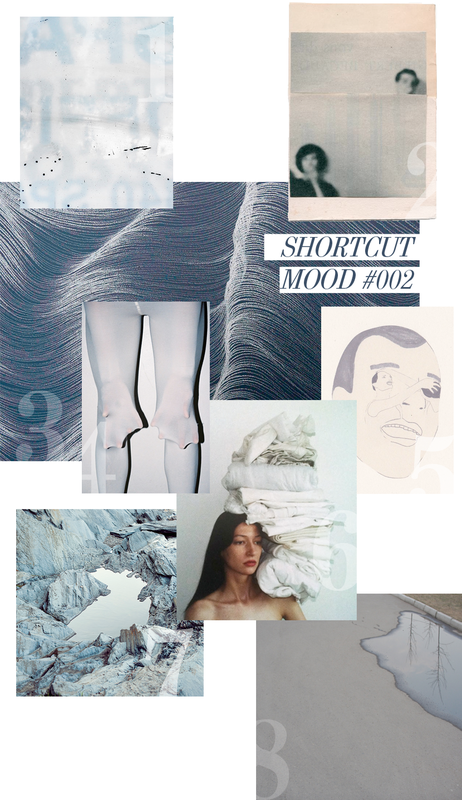 A moodboard of images collected from my tumblr.